Lauren Alaina and her boyfriend and fiance Alex Hopkins prove that true love still exists. Read more about the adorable couple here! Lauren Alaina met her handsome boyfriend Alex Hopkins on July 5, 2012, and began dating later that year. 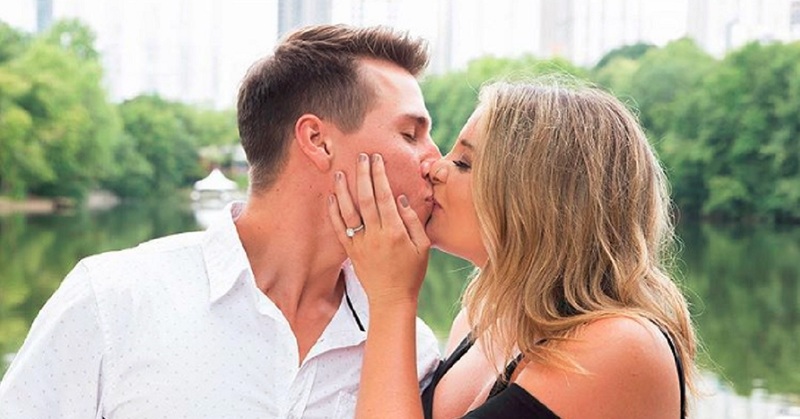 Now Alex Hopkins is officially Lauren Alaina’s fiance. Country music songbird Lauren Alaina and her longtime love Alex Hopkins shared their happy news via social media. Nearly five years after the couple started dating, Lauren and Alex continues to prove why they fit the term ‘goals’ perfectly. If you’re searching for proof, look no further than Hopkins’ Instagram page. Let’s look through his five cutest posts below. Most boyfriends struggle to work up the courage it takes to match with their significant other, but Alex Hopkins proves he will do anything for his talented girlfriend. The attractive couple probably killed their holiday parties by rocking their elf outfits. Apparently the young pair shared their first kiss the night this photo was taken. Half a decade later and Alex and Lauren still can not get enough of each other’s love. In a relationship, nothing can compete with a partner that trusts and supports you 24/7. Luckily for the country music songstress, Alex Hopkins always has her back. Hopkins let the whole world know how proud he is of his girlfriend when he released this sentimental post discussing Lauren’s musical success. Last year, Hopkins accompanied his beautiful girlfriend to the ACM Awards, and they could not have been any cuter. The gentleman even claimed that he likes her “sweatpants and no makeup” looks even more than when she’s all dressed up. He certainly seems to know how to treat a woman right. Of course an avid social media user like Alex Hopkins could not resist the urge to post a New Year’s Eve collaboration post, and who can blame him? His dashing good looks paired with Alaina’s beauty make for perfect pictures. So why post just 1 photo for the special occasion? Alex Hopkins appears in Lauren Alaina’s music video for Next Boyfriend. Here are some quick facts about Alex Hopkins. Alex Hopkins Job: Alex is an actor and model signed with Nashville’s The Block Agency. He recently walked his very first fashion show! Alex Hopkins Age: Alex is 23-years-old and was born June 17, 1995. Be sure to share this article with other Lauren Alaina fans!